Mindfulness is the heart of meditation practice. It is both universal and eminently practical. By paying attention to our body, mind and emotions we can transform them and awaken to the unique beauty and possibilities of each present moment. Buddhist teacher Nhat Hanh introduces the basic principles of mindfulness meditation by blending stories and practical exercises in a simple, direct style. 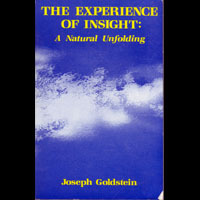 Joseph Goldstein studied intensively with many of the foremost Buddhist teachers of Eastern Asia. The book is a compilation of his instructions and discourses to students given during a thirty day Vipassana meditation retreat. 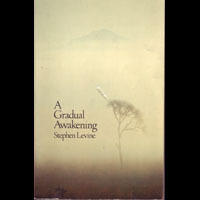 Stephen Levine is an American teacher of Vipassana meditation who has taught in prisons and hospices. In this basic text of mindfulness meditation practice, he presents an approach which skilfully engages and integrates the mind and heart of the practitioner. 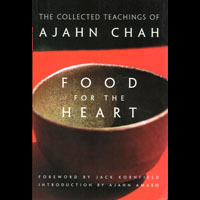 The book is a compilation of the teachings of Thailand insight meditation master Ajahn Chah. Although his teachings are deceptively simple, they contain a profound power to transform the mind and heart of the earnest practitioner. 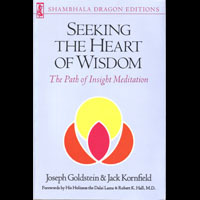 The book is a skilful blend of practical instruction, psychological insight and perennial wisdom, born out of the authors' twelve-year collaboration in teaching intensive meditation retreats throughout the world. 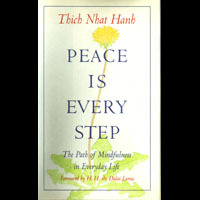 Eminent Buddhist teacher Nhat Hanh shows how mindfulness of breathing and awareness of the acts of our daily lives can transform and heal difficult psychological states and help develop inner and outer peace in the world. Based on more than thirty years experience teaching Buddhist meditation retreats, the book touches on a wide range of topics raised by both beginners and seasoned practitioners. 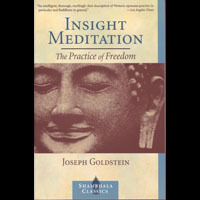 It offers wise and practical guidance to those seeking to liberate the mind through insight meditation. 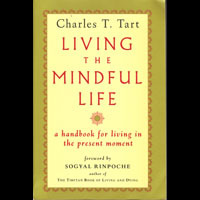 Psychologist Charles Tart explores the interface between psychology, spirituality and mindfulness practice in this handbook for consciously living in the present moment. 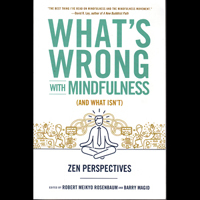 He includes a variety of practical exercises to extend mindfulness into all areas of life. 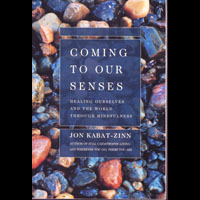 In this best-selling book, Kabat-Zinn maps out a simple path for cultivating mindfulness in one's own life. Quotations from many of the world's great spiritual traditions reinforce the beauty of dwelling in mindful presence each moment of life. 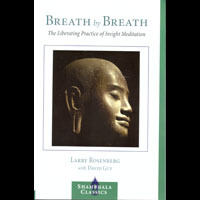 Rosenberg, who is a resident teacher at the Insight Meditation Society in Cambridge, Massachusetts, presents the ancient Buddhist teaching on cultivating tranquility and insight through full awareness of breathing in this important book. 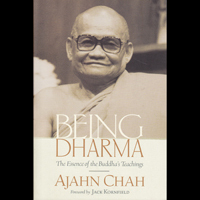 Ajahn Chah was a respected Thai Buddhist master whose refreshingly uncompromising teachings influenced a generation of Western teachers. He emphasizes the path to freedom from emotional and psychological suffering through mindfulness and meditation, and reminds us that by taking ourselves too seriously we cause unnecessary hardship for ourselves and other people. 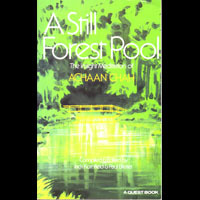 Ajahn Chah was an exemplary Buddhist teacher whose simple yet profound style of teaching had a special appeal to Westerners. This collection of his teachings conveys the art of Buddhist mindfulness meditation and skilful living with wisdom, humour and compassion. This important work by a Buddhist monk and scholar is a clear description of the myths, realities and benefits of mindfulness meditation. The writing is clear and straightforward and emphasizes the importance of loving-kindness on the path of spiritual development. 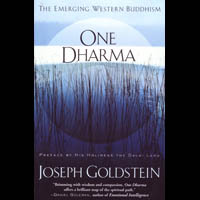 Respected Buddhist teacher Joseph Goldstein distills more than forty years of spiritual practice and teaching in this exploration of a new emerging Buddhist tradition taking root in the West. 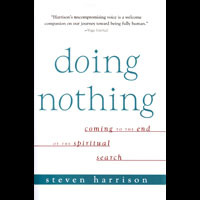 The book shows how human relationships can be a focus of spiritual inquiry and an avenue for self-discovery. 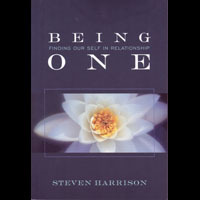 Harrison constantly reminds us that we are already in relationship with everyone and everything. 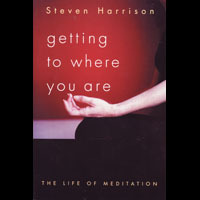 This wide-ranging book examines the contemporary world of spirituality and meditation with insight and humour. We are encouraged to appreciate life itself as the ultimate spiritual journey. 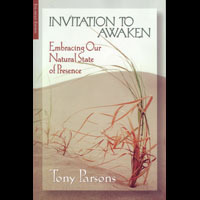 Tony Parsons, known for his innovative teaching, invites us to live life from a wholly different perspective - one centered in the infinite awareness of one’s true Self rather than the dream of separation and subjective individuality. Adyashanti is an American spiritual teacher whose teaching reflects the insights of Zen and Advaita Vedanta. He shows how the natural opening of the mind, heart and body holds the secret to spiritual liberation and realization. 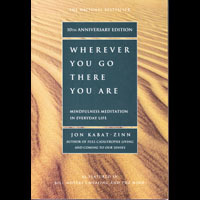 The book is a companion to the author's Wherever You Go, There You Are and offers simple, intuitive ways in which we can come to a deeper understanding of the world and our life path through full awareness and mindful attention. 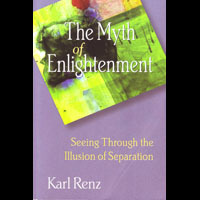 Through a series of uncompromising dialogues, German-born spiritual teacher Karl Renz reveals the self-imposed limitations which create the sense of a separate self and mask our true nature as divine beings. 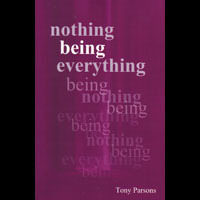 This series of dialogues with Tony Parsons is a radical call to liberate ourselves from the mistaken belief that we exist as separate individuals. When we cut through the subtle mental concepts that obscure our natural state of presence, we realize our true nature and express the freedom that is our natural state and birthright. 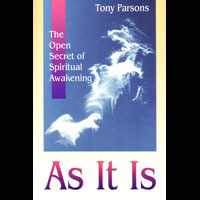 The book consists of insightful dialogues between Tony Parsons and seekers from around the world. With humour and patience, he continually leads questioners to the basic truth of their own existence as timeless presence and being. 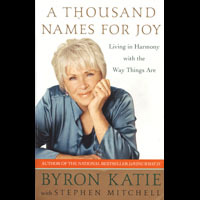 In her unique, engaging and direct style Byron Katie shows how suffering can be ended by questioning the stressful thoughts that create it. Her stories of total ease and acceptance in every circumstance of life exemplify the awakened mind. 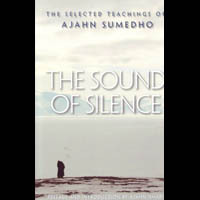 Ajahn Sumedho is an American monk who studied closely with renowned Burmese meditation master Ajahn Chah. 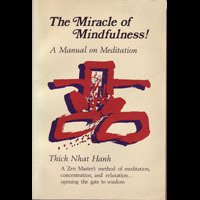 This collection of his simple, direct, and often humorous teachings illuminate the path of meditation and mindfulness. 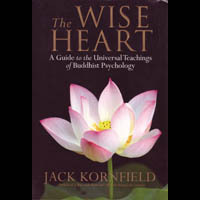 This important book examines the universal teachings of Buddhist psychology and their practical application to psychotherapy and transforming the human mind and heart. Kornfield, who holds a PhD in clinical psychology, has been one of the leaders in introducing Buddhist practice and psychology to the West. 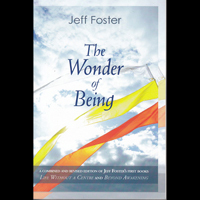 Jeff Foster emerged from a spiritual crisis following a life-changing experience of awakening in the 1990s and currently holds meetings and retreats in the United Kingdom, Europe and America. 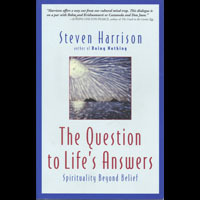 He writes with clarity, humour and compassion as he points out the hidden assumptions which underlie the search for enlightenment and prevent us from realizing and expressing our true nature in each moment of life. 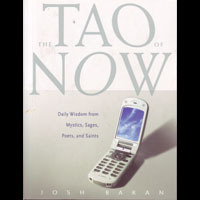 This uniquely-titled book is an anthology of essays and perspectives from Western Zen Buddhist teachers and academics which examine the current fascination of Western culture with the practice of mindfulness. 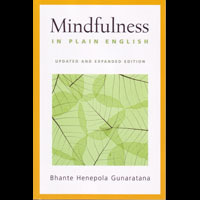 The contributors place mindfulness within the context of traditional Buddhist teachings, showing how it transcends its Western application as a “cure-all” for stress, health problems, relationship issues, and existential anxiety. 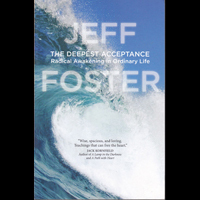 In The Deepest Acceptance, Foster explores our resistance to life's experiences which prevents us from living fully immersed in each moment of our lives. “Love is the highest form of acceptance. Judgment is the mechanics of non-acceptance.” Foster’s warmth, humility, and penetrating honesty shine through the pages of this wise, insightful book.